The Regional Cooperation Agreement on Combating Piracy against Ships in Asia (ReCAAP) is the first regional government to government agreement promoting and enhancing cooperation against piracy and armed robbery in Asia. Bet you never knew that something like this existed, right? Not only do they exist, they also established the Information Sharing Centre (ICS) – the role of this department is to exchange information amongst all parties involved in shipping. In the last week, the ReCAAP ISC has broadcast the latest incidents in Asia. Three of which come a little close to home for our liking! 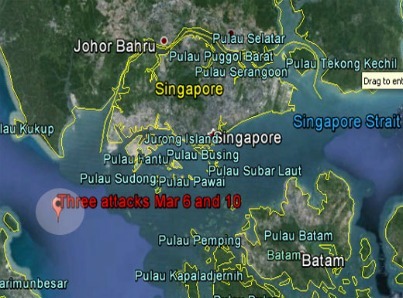 These three incidents of armed robbery onboard ships were reported in the Straights of Malacca and Singapore on the 6th March and the 10th March (two attacks occurring on the 6th March). Upon receiving information of these acts of piracy, the Singapore Port and Operation Command Centre (POCC) alerted all vessels in the vicinity to maintain an anti piracy watch. 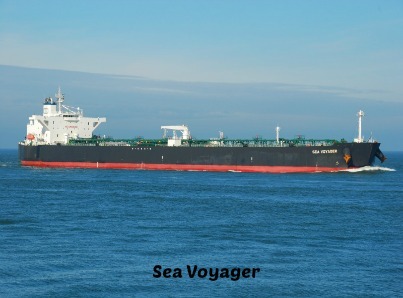 Sea Voyager on 6 Mar 14. At or about 0515 hrs,this Marshall Islands-registered oil tanker was underway off Pulau Karimun Kecil when four robbers dressed in short pants and t-shirts approached the tanker at the stern area on the starboard quarter side. Armed with knives, the robbers boarded the tanker from a fishing boat. Upon noticing the robbers, the crew sounded the alarm and proceeded to the protected area of the vessel. The robbers fled in their boat on hearing the alarm. Nothing was stolen from the tankerand the crew was not injured. Orpheas on 6 Mar 14. On the same day at or about 0540 hrs, this Liberia-registered tanker was underway off Pulau Karimun Kecil when five robbers armed with knives boarded the tanker and stole some engine spares. The crew was not injured. Cape Veni 10 Mar 14. 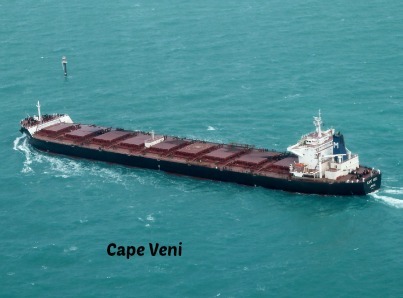 On 10 Mar 14 at or about 0150 hrs, this Cyprus-registered bulk carrier was underway south-west of Pulau Nipa in the TSS east bound when four robbers armed with knives boarded the bulk carrier from a small boat. On hearing the general alarm raised by the crew, the robbers fled without stealing anything. The crew was not injured. All three incidents occurred during the hours of darkness and by 4-5 men armed with knives. It is assumed that it was either the same group of pirates, or pirates operating from the same syndicate. Whilst the vessels that were attacked were not cargo vessels, we are still find this interesting. 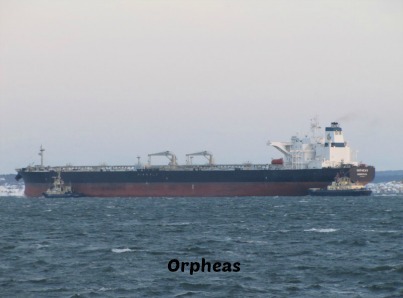 The shear size of the tankers makes it hard to believe that they could be the victims of pirate attacks. Although, if you have seen Captain Phillips, you would believe it!